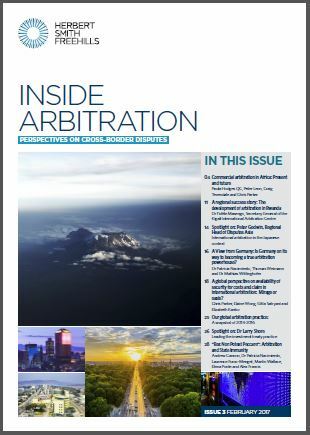 On 1 June 2017, the Kuala Lumpur Regional Centre for Arbitration (the "KLRCA") published its updated arbitration rules (the "KLRCA Rules 2017"). The KLRCA has seen a steep increase in cases over recent years reflecting Malaysia's growing importance as a regional dispute resolution hub. From 1978 to 2010, the KLRCA recorded only 22 cases but by 2016 this had risen to 618. The amount in dispute for international cases alone totalled over USD 295 million, the majority of which related to disputes from the construction and related sectors. The KLRCA Rules 2017 apply, unless otherwise agreed by the parties, to all KLRCA arbitrations commenced after 1 June 2017. The KLRCA Rules 2017 replace the previous version of the rules which were last revised in 2013. The changes implemented in the KLRCA Rules 2017 are designed to optimize the costs and efficiency of KLRCA proceedings and to improve the quality of arbitral awards. The changes are also designed to reflect international best practice in the case of multi-party disputes and introduce or bolster provisions for joinder of third parties and consolidation of proceedings. A summary of the key changes is set out below.